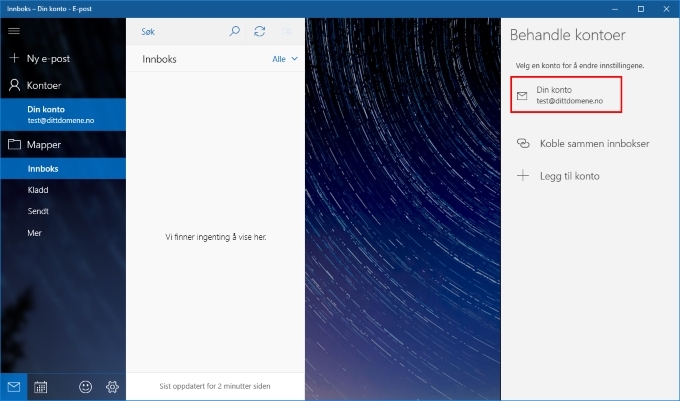 This guide shows how to change your existing email account in the Windows Mail app. 1. 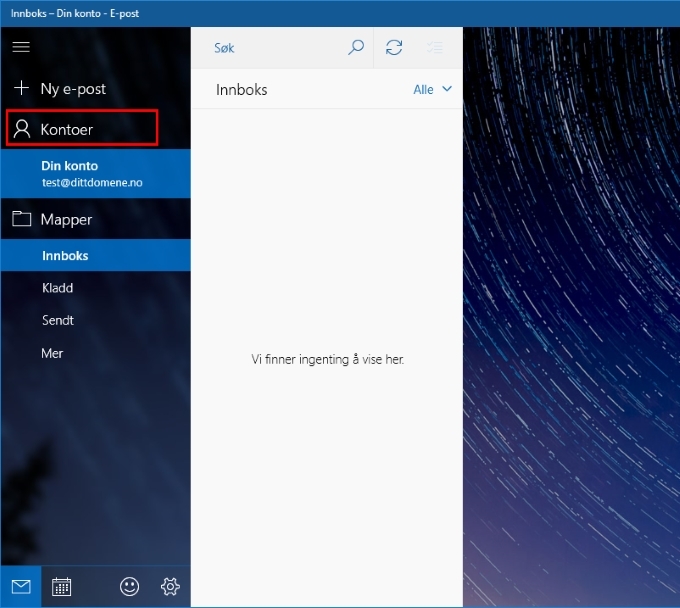 Open Windows Mail and click «Accounts» on the left. 2. Click on your account on the right. 3. 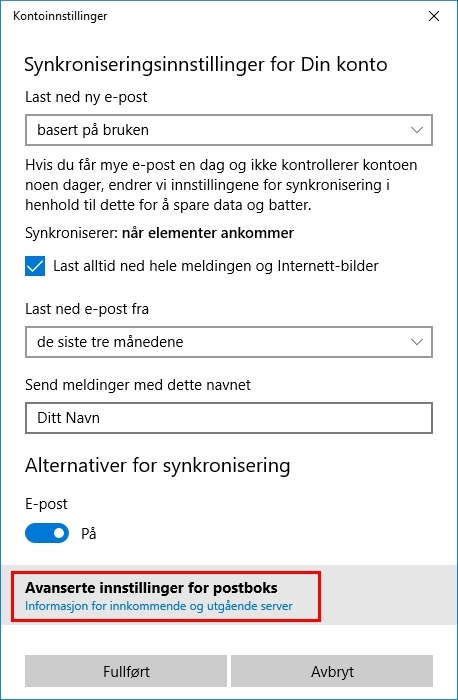 Select «Change settings for mailbox synchronization». 4. Select «Advanced settings» at the bottom. 5. 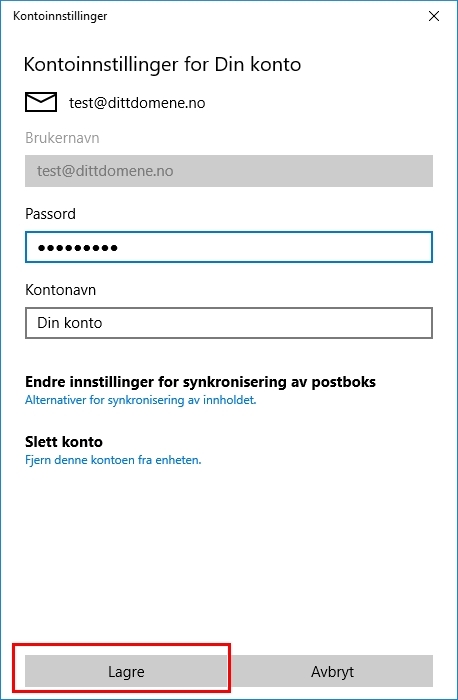 Write mail.uniweb.se as incoming server. 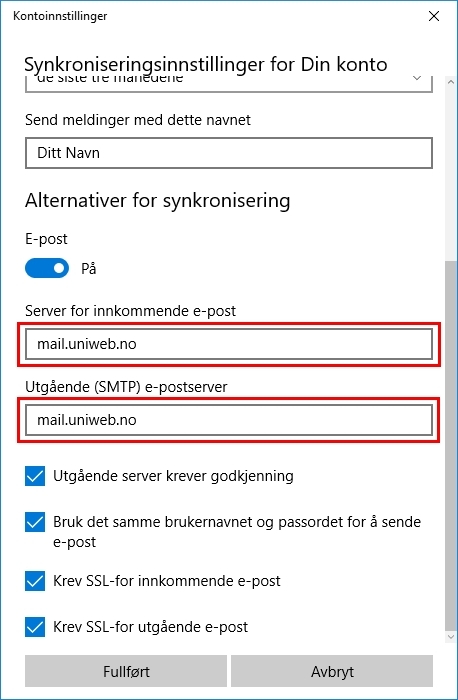 Write smtp.uniweb.se as outgoing server. Also make sure you’ve checked the «Require SSL» for both incoming and outgoing email. Click «Done». 6. You must write the password once again to make these changes work. 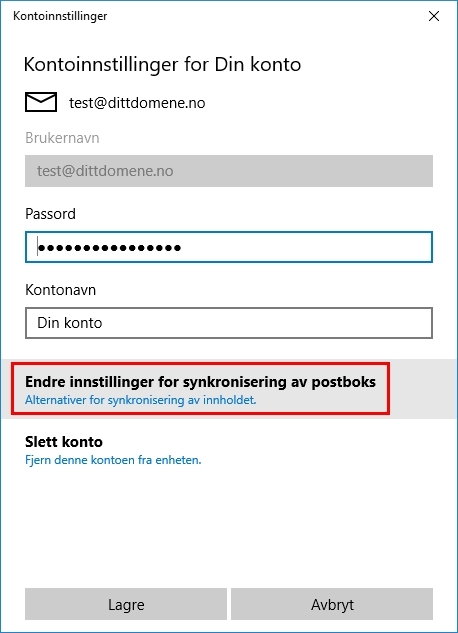 Please rewrite your password in the «Password» input field and click «Save» to save your settings.